The Queen and Kate helped open a campus building at Kings College London. 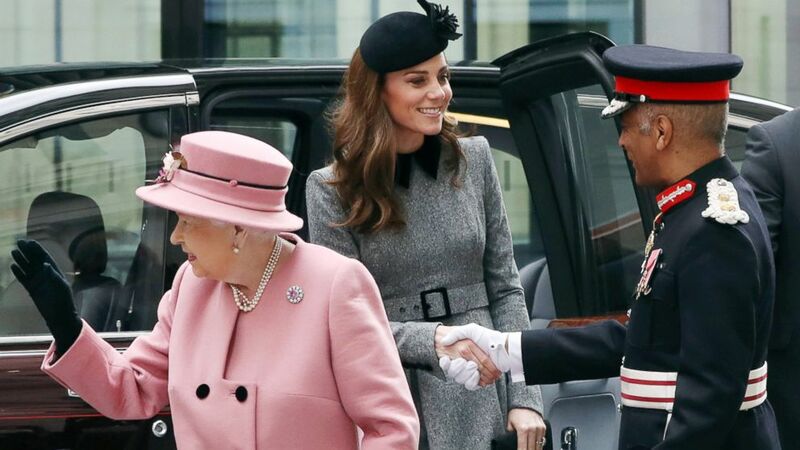 Queen Elizabeth II and Duchess Kate stepped out together Tuesday for their first solo outing in seven years. The queen, 92, and Kate, 37, visited King’s College London for the opening of Bush House, the former home of the BBC World Service that has been converted into a campus building. Britain's royal family attended a Commonwealth Service at Westminster Abbey. (Simon Dawson/Reuters) Britain's Queen Elizabeth and Catherine, Duchess of Cambridge arrive to open Bush House at King's College London, March 19, 2019. The queen and Kate not only shared a car but also shared a blanket as they visited King's College London. (Neil Mockford/GC Images/Getty Images) Queen Elizabeth II and Catherine, Duchess of Cambridge depart King's College London, March 19, 2019, in London. The last time Queen Elizabeth and Kate publicly joined forces was in March 2012, nearly one year after Kate married Prince William. That year she traveled with Queen Elizabeth to Leicester to kick off the monarch’s Diamond Jubilee tour in celebration of 60 years on the throne. Seven years later, Kate is now the mother of three: Prince George, Princess Charlotte and Prince Louis. The queen and Kate have appeared frequently over the years at royal events together, including last week when Kate joined Queen Elizabeth and other members of the royal family for the Commonwealth Day service at Westminster Abbey. Kate was also recently by the queen's side at a reception at Buckingham Palace to mark the upcoming 50th anniversary of Prince Charles’ investiture as the Prince of Wales. Queen Elizabeth made her first solo engagement with Kate's sister-in-law, Duchess Meghan, last June, around one month after her wedding to Prince Harry last May. The pair traveled from London to Cheshire in the royal train for a day of engagements. King's College London is the same location where Meghan, who is expecting her first child next month, joined a panel discussion marking International Women's Day. Queen Elizabeth is patron of King’s College London. She previously visited the college in 2012 and 2002.